Appalachian Ski Mountain is a great place for family and friends to enjoy the outdoors while they hurtle down the mountain at break-neck speeds, toeing the line between Adrenalin induced excitement and gut wrenching fear. But that’s the fun of skiing/snowboarding, right? Of course, I am just poking fun! The winter outdoor adventures are one of the many great reasons people visit the High Country. 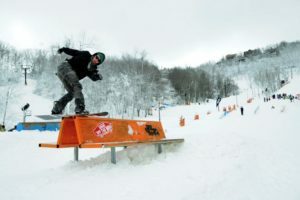 Appalachian Ski Mountain is one of the most popular ski mountains for both locals and tourist visiting the High Country. Luckily, Appalachian Ski Mountain has something for everyone! There are 12 slopes and 3 terrain that accommodate a range experience levels. 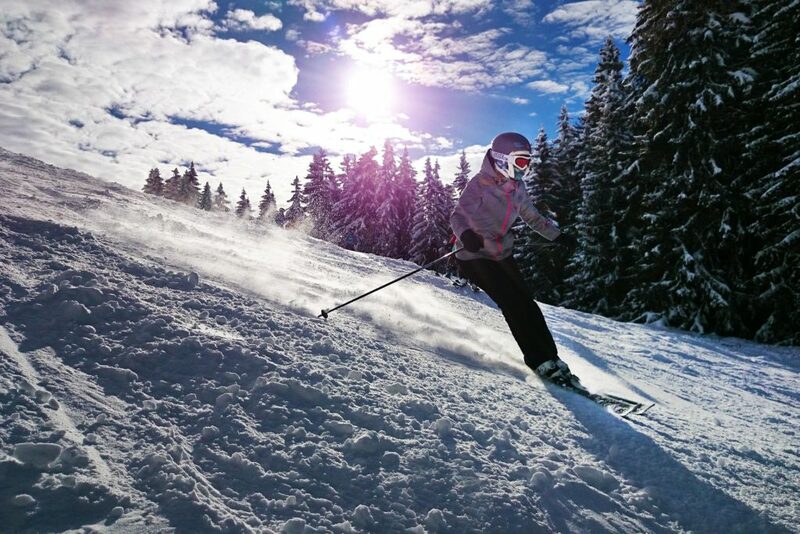 With the variety of slopes, Appalachian Ski Mountain is perfect for the novice or advanced skiers and snowboarders alike. The French Swiss Ski College and Burton Learn to Ride Program are great ways for beginners to learn the basics before they get out and enjoy the slopes on their own. For the more advanced “adrenaline junkie” there are more coarse terrains and race teams! There are special events such as Arbor/ SPY Shred for the Cup Big Air, and Pop This: High Ollie Contest- all geared towards more elevated tricks and stunts. Snowboard or skiing not your thing? There is an ice skating rink, too! Even if you are not in it for the “rush”, there always seems to be something fun going on at App Ski Mountain. 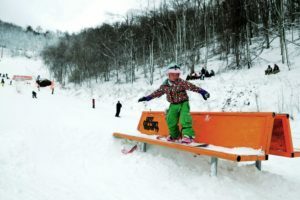 They offer an array of events from “Skiing with Santa”, A New Year’s Even EXTRAVAGANZA, and Ice Skating Fundraiser. At the end of winter season, they even host the “Meltdown Games”, a series of fun and crazy games to finish out the year! During the winter and on those glorious days where school was cancelled, I spent the majority of my time at Appalachian Ski Mountain. In fact, my elementary school bus would drop me and my friends off at the lodge after school. We would race to our lockers, throw on our gear and try to get in as many runs as we could before our parents came to pick us up after they got off work. Even then we would all chime: “Can we go down JUST one more time!?”. We were out there every chance we got. Our favorite thing to was build the biggest jump the Ski Patrol would let us get away with. We would hit that jump over and over again until they eventually had to tear it down because we were scaring the tourist. I say they just didn’t appreciate our X-treme techniques! Now that I’m older, I don’t get to spend as much time on the slopes as I would like. However, I will always remember the great time I had, growing up at Appalachian Ski Mountain. Still today, parents still use the slopes for “big kid” daycare for snow days because they know it is a place that their kids will have fun and be safe. Wanting to hit the slopes? 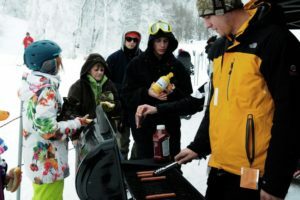 Like I said, Appalachian Ski Mountain offers many great events, so be sure to check their event calendar when starting to plan your Mountain Vacation! They even have a live cam set up so you can make sure there is plenty of fresh “powder” for your adventure! Lee Gillette, has lived in the North Carolina High Country for most of his life and is an ASU Graduate! Lee recently was elected by his peers to High Country Association of REALTORS’s MLS Board. Learn more about this great honor by clicking here! DISCLAIMER: the views, thoughts, and opinions expressed in the text belong solely to the author, and not necessarily to the author’s employer, organization, committee or other group or individual.